cooperation did not begin until 2014. After a spontaneous visit to Ahrend’s CEO, Eugène Sterken, Rolf Hay mentioned his admiration for the Result Chair and how he felt it would work well with Hay. Not long after this visit Hay acquired a license to produce the Result and Pyramid Collections internationally. - We are mainly known as a company who collaborates with designers from our own time, but for me the link between these products and what we have been doing, is the approach to industrial design they employed to make them. 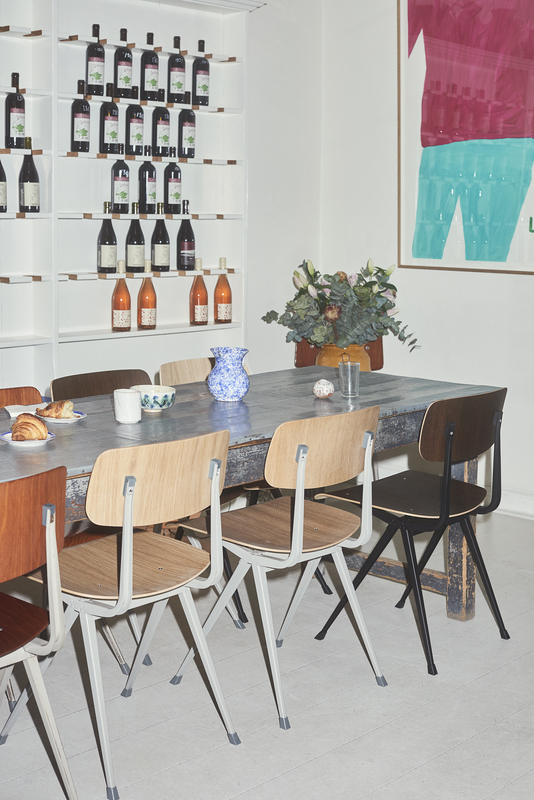 The idea of working with materials and construction in an intelligent and reliable way, creating as much value for clients at a reasonable price; the Result Chair and Pyramid Table were originally about just this, says Rolf Hay. - The Result Chair is one of the most famous designs from Friso Kramer and Wim Rietveld. We instantly knew that this collaboration has a unique potential, making these Dutch design icons available again, not only to corporate clients whom we are used to serve, but also to the domestic market around the world. The mutual respect for these eternal designs is the cornerstone of this inspiring venture, says Eugène Sterken. 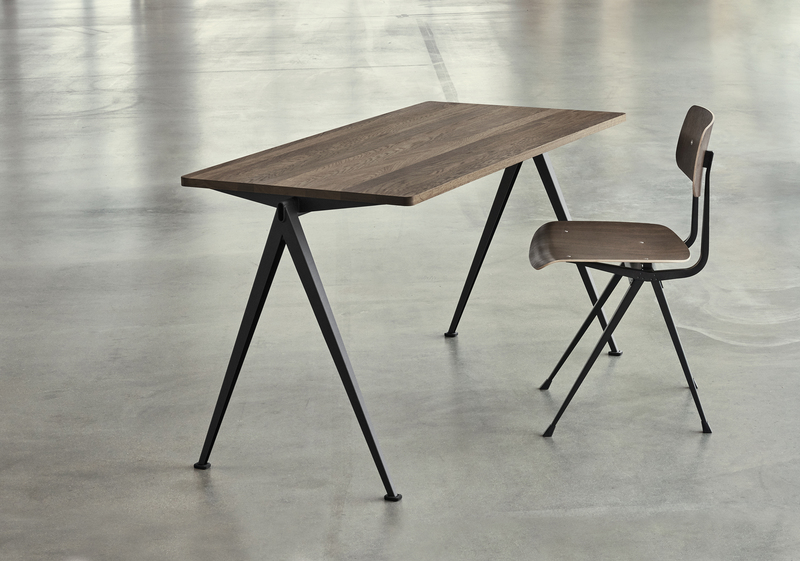 Created to be adaptable, light and strong, the Result Chair (1958) and Pyramid Collection (1959) are two examples of products that utilise the cutout sheet steel construction method of manufacture. 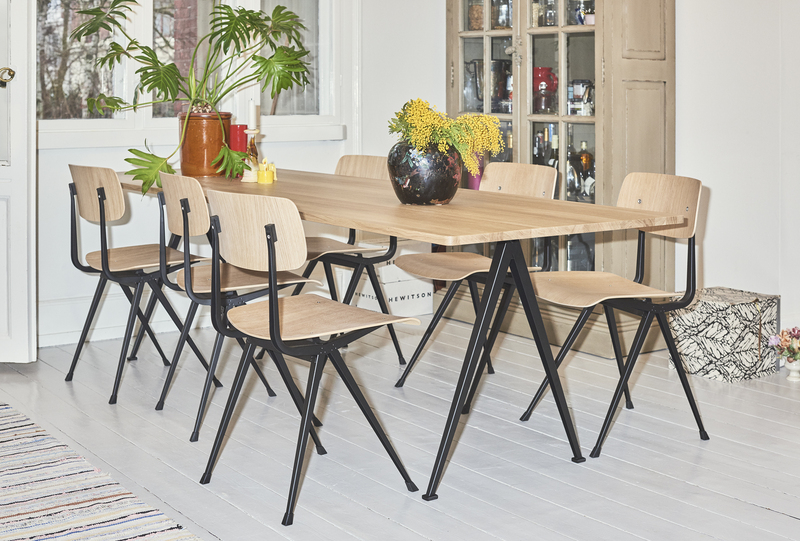 The Result Chair was originally designed by Friso Kramer and Wim Rietveld and the Pyramid Collection by Wim Rietveld in the middle of the 20th century, while they worked at Ahrend. 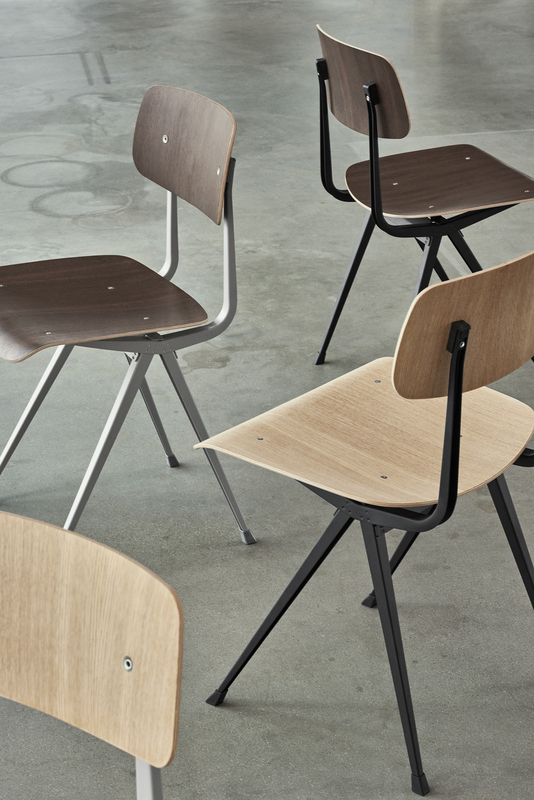 Produced predominately for schools in the 1960s and 1970s throughout the Netherlands, the Result Chair has a particularly strong relationship with Dutch residents as it was a daily part of their lives growing up. Combining functional excellence with aesthetic lightness and adaptability, both designs are exceptionally sparing in their use of materials, are simple to construct and organic in their shape. They remain as relevant and useful today as the first day they came into being. - The Result Chair is a product that has a real strong character, which also developed its own life beyond schools. 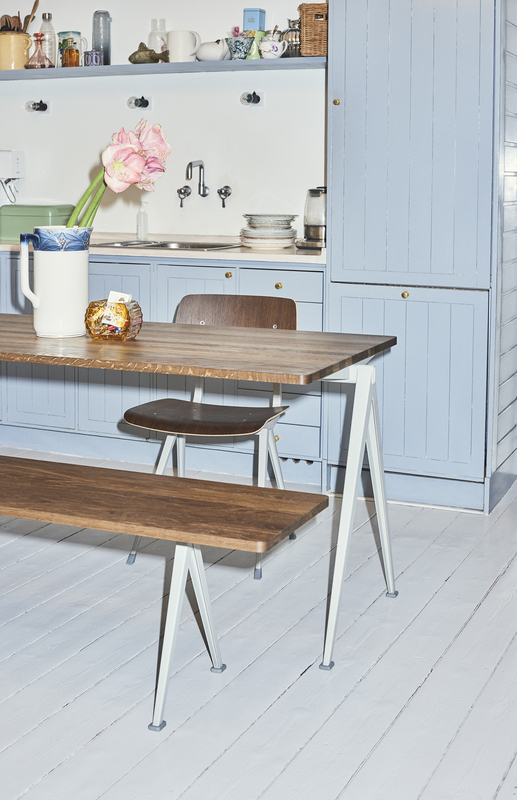 For me, it is the perfect dining chair for home, or can work for restaurants and cafes, but also still for schools and educational use, says Rolf Hay. The Result Chair & Pyramid Collection are designs that have endured, proving the worth of the ideas that were initially put into their creation. For the initial relaunch collection, the designs are available in authentic finishes and configurations. 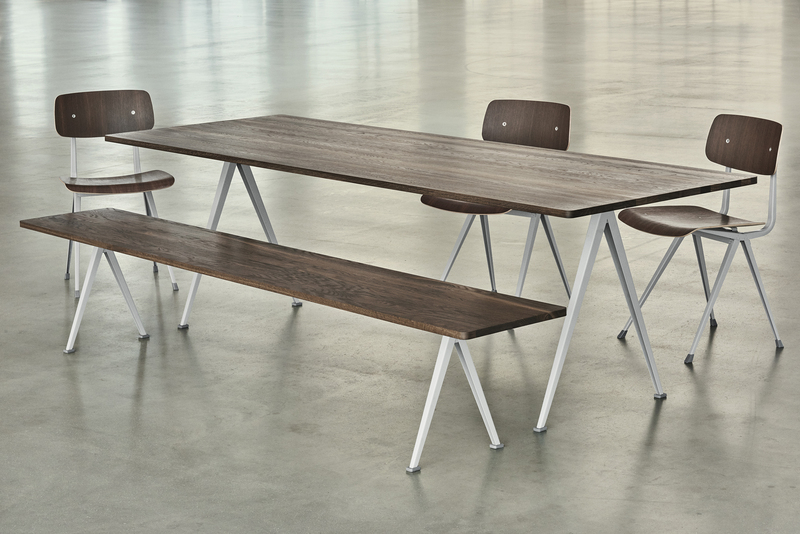 The cutout steel bases are in black or light grey powder coating, with either an oak or smoked oak seat, back or tabletop. The Pyramid Collection features a number of different configurations of the design, including tables, a desk and a bench all of which are visually linked together by the elegant base frame.